With A Single Light Patricia Leslie melds city grit and ethereal myth, the twin demands of Urban Fantasy, to form a perfect unity. The plot is simple, a good and evil battle to save humanity from extinction. Yet there is nothing simple in its execution, Leslie demonstrating both a depth of knowledge of her subject and writerly finesse. Protagonist Rick Hendry, along with a federal agent, a doctor, an archeologist and a journalist, are thrust into a realm of angels and ghouls through a spate of mysterious deaths and disappearances in suburbs surrounding one of Sydney’s natural parklands. They are joined by a Hunter, one of the Afflur whose eternal task is to protect humanity from the evil Bledray. On the face of it, scarcely a unique tale, but as with most stories that comply with the strictures of genre fiction, the originality is all in the telling. Urban Fantasy is a blend of crime and fantasy fiction. In A Single Light, Leslie displays mastery of both genres. As I was reading, I could imagine the author producing a fabulous crime novel one moment, an epic fantasy tale the next. 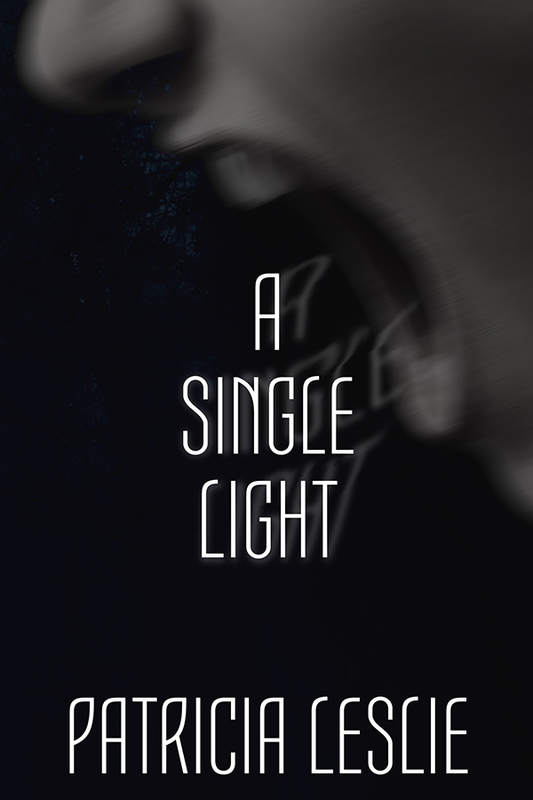 Yet A Single Light also contains elements of horror, the reader forgiven for sensing echoes of Stephen King. It’s a fair comparison, Leslie’s storytelling, imbued with a mounting dread, and her detailed depictions of the acts of the Bledray, easily sit inside the horror genre, the quality of writing, fairly compared to King’s. Leslie’s characters are well-crafted and come alive on the page with all their foibles. Equally so, the otherworldly figures, the Afflur and the Bledray. Each shift in perspective clearly defined. Each scene carefully crafted. The narrative is well-paced, the reader carried along by the dramatic tension established from the first page. A perfect mix of action and introspection, held together with vivid descriptions, never overdone, enshroud the reader in a reality so convincing, the very existence of A Single Light’s fantasy figures endures beyond the page. Leslie’s prose is commensurate with the Urban Fantasy sub-genre, which demands both the earthy realism of crime and the imaginative transcendence of fantasy. It’s a fine balance, one that Leslie achieves with flair. The voice is unselfconscious, mature and poised, absent the pretensions of over-adornment, or the stilted prose the result of an overuse of Occam’s razor, one that plonks the reader in an emotional desert. Evident in Leslie’s writing, is a balance of sophistication and simplicity that will satisfy those after a work of substance while remaining immediately accessible to the page turner reader.